MANILA, Philippines - At least 1,500 overseas Filipino workers (OFWs) in Saudi Arabia have expressed willingness to return home, the Department of Social Welfare and Development (DSWD) said yesterday. The agency’s humanitarian team is currently in the oil-rich kingdom to assist distressed OFWs and their families. The team said 1,575 of 3,193 OFWs in Saudi’s 21 campsites want to return to the Philippines. The number may still climb as the team, led by Undersecretary Vilma Cabrera, continued to reach out to other distressed OFWs located outside the campsites and in other parts of Saudi Arabia. The team had received reports that about 200 distressed OFWs living outside the Oger and Bin Laden camps need medical and relief assistance. More OFWs in Riyadh and Al Khobar who do not belong to the three major companies and subcontracting firms originally targeted by the inter-agency teams are seeking repatriation and assistance. The DSWD team left last week to join the month-long mission of the Department of Foreign Affairs in the Middle East. As of yesterday, the team was able to provide assistance and counseling as well as food and hygiene kits to 1,802 OFWs in Riyadh, 1,062 in Al Khobar and Dammam and 329 in Jeddah. 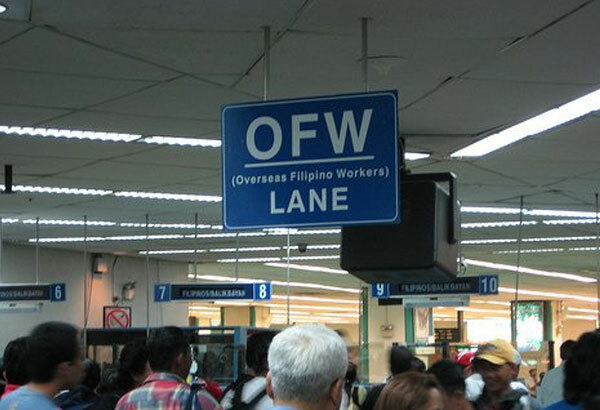 Other agencies such as the Public Attorney’s Office, Department of Health, Technical Education and Skills Development Authority are providing assistance to the OFWs. Social Welfare Secretary Judy Taguiwalo has expressed her support to the team members in the kingdom. “The members of our team are doing the best they can to analyze the situation of the OFWs in Saudi. We will provide them immediate assistance and ensure their reintegration after they return to the country,” Taguiwalo said. She urged the families of the OFWs here in the Philippines to advise their relatives to coordinate with the Philippine embassy to ensure their safe return.